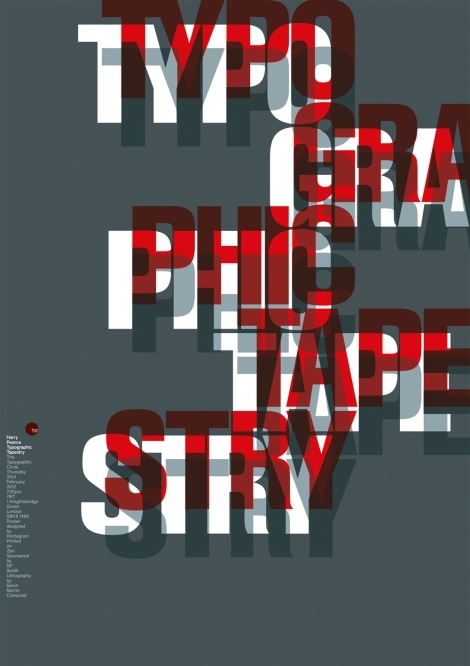 The Typographic Circle was formed in 1976 to bring together anyone with an interest in type and typography. We are a not-for-profit organisation run entirely by volunteers. We stage a variety of type and typography related events including a series of diverse monthly lectures by well-known industry speakers, and the annual New York Type Directors Club exhibition. Previous speakers have included Trevor Beattie, Stefan Sagmeister, Ken Garland, Jonathan Barnbrook, Fred Flade, MadeThought, NB Studio, Anthony Burrill, Rick Poyner, Sir John Hegarty… the list goes on. Besides being serious about type, we’re a very sociable organisation with a reputation for staging enjoyable events. We try hard not to come across as being stuffy or elitist. Membership is open to anyone with an interest in type and typography, and there are no entry tests or examinations.